Giant area rugs in custom sizes. Custom made area rugs to suit your room. 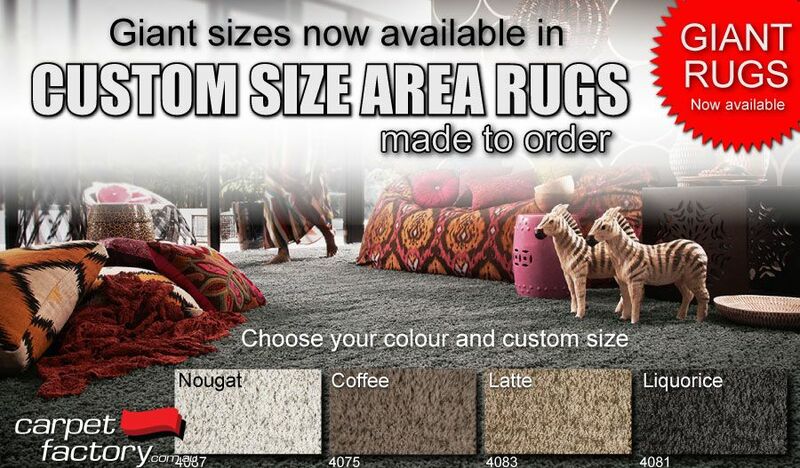 Choose from 4 popular colours and have a rug made to suit your room exactly as required. In 4 fashonable textured looks, these area rugs will add warmth and style to any living space for an extremely affordable price for rugs this large. 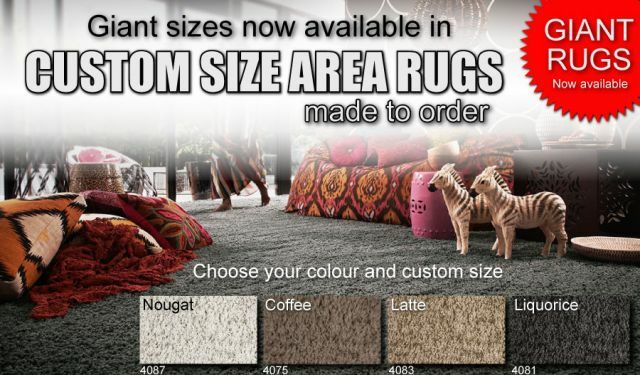 Examples of popular rug sizes. Rugs can be bound and shaped to suit. For prices please call to duscuss options as price updates are pending. TO REQUEST A QUOTE "CLICK HERE"